When I arrived in Blenheim to catch up with Greg, Laura, and the team at DeLuxe Group, it was purported by the weather gurus to be the hottest day on record. Not according to Greg, who recounts a day back in ’78 that saw the local Farmers building engulfed in flames. "I watched in total amazement from across the road, the tyres of a bicycle leaning against a parking meter burst into rings of flames from self-combustion." Having grown up in the Marlborough region, he no doubt has many such stories, but the one I’ve come for today is that of DeLuxe itself. 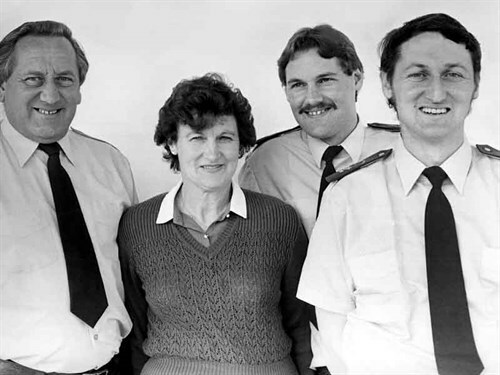 It’s the type of story I love—one that begins more than 40 years ago and tells of the success of a hardworking family who shaped some great ideas into a successful business, which has seen hundreds of Kiwi families realise their dreams of traveling New Zealand by motorhome. 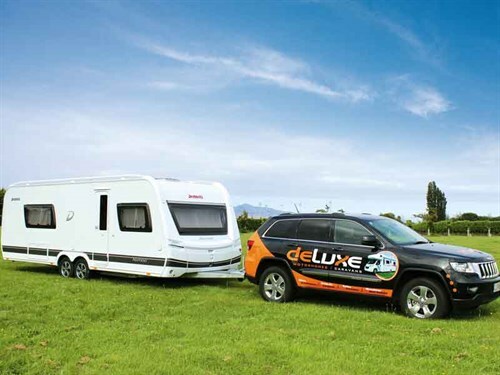 DeLuxe Group is one of the South Island’s largest motorhome and caravan dealers and has a well-earned reputation for providing friendly service and excellent follow up care. Brothers Greg and Gary (managing directors) have been with the business since its earliest days. 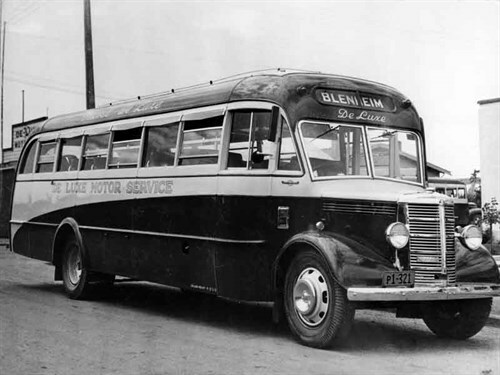 Their parents Brad and Phyl purchased DeLuxe in 1972 as a bus company. 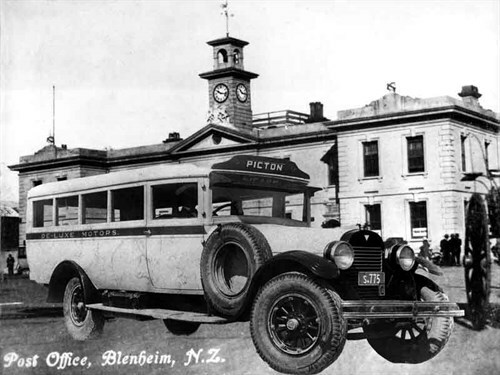 In fact, the DeLuxe name dates right back to around 1926 when its first buses began servicing the Blenheim township as well as doing the Blenheim to Picton run. 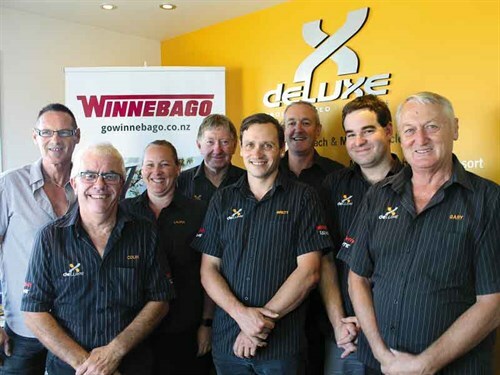 When the Smith family took over, the business had four school run contracts, but as the region grew and the wine industry flourished in Marlborough, so too did DeLuxe. In 1976, the business acquired a vehicle rental company, which included a couple of trucks, cars, and several campervans, providing the first taste of the motorhome industry. The business continued to grow and in 1984, landed a major contract with Kirra Tours—an Australian-based coach tour company—taking tours around both the North and South Islands. At the same time, a new government in New Zealand resulted in the dollar being devalued, which saw a massive tourism boom, particularly out of Australia. "This provided us with a massive growth period," Greg says. "We built a number of new coaches over a three-year period. At one point, with some help from other companies, we had around 20 coaches on the road doing tours." Like all good business stories, DeLuxe’s includes a couple of savvy decisions made just at the right time. For the Smith family, it was the purchase of a local corporate and tourist 54-room hotel in 1991. The hotel hadn’t seen a lot of love for a period time, but a full refurbished of the interior and some smart business decisions gave it a new lease of life. DeLuxe Group operated the hotel successfully for around 11 years before selling it on to Scenic Circle in 2002. "At the time, the property market in Marlborough was just starting to take off, so we divested into property" Greg says. DeLuxe developed several residential subdivisions, which saw the beginnings of DeLuxe’s successful property division. "The business continued running the bus and coach company until 2003 when it was sold on to Ritchie’s. "In a two-year period we had completely changed course," Greg says. Gary continued with a new venture importing used Japanese buses to satisfy the demand for school buses in New Zealand. "At our peak, we were importing around 150 buses to on-sell to bus operators, but we were also selling around 30 percent of our stock to people who were doing conversions—turning buses into motorhomes." But in 2007, a change in the emissions laws meant the bulk of the buses the business was importing didn’t meet the new standards, and the market dried up very quickly. "That’s when we became more focused on the caravan and motorhome market," Greg says. 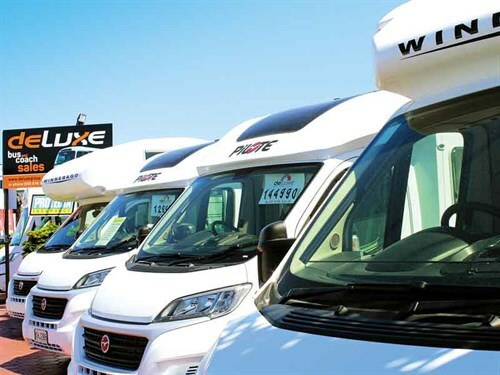 With experience in converting buses to motorhomes, it was an easy progression to steer the business into a recreational vehicle dealership. In 2012, Gary’s son Brett joined the team, followed soon after by Greg’s daughter Laura. Both bring automotive and administrative experience to round out the business. 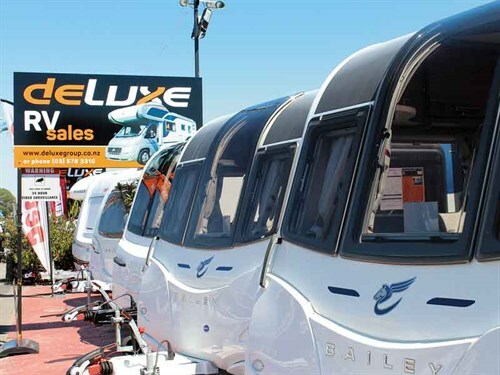 Today, DeLuxe is the agent for five major brands: Winnebago, Pilote, Dethleffs caravans, Bailey, and Talvor. Greg explains that Winnebago has seen huge growth recently. "We’ve seen the brand evolve from something that wasn’t quite right for New Zealand to one that has undergone a huge process of evolution over the past 18 months. It really is going from strength to strength and is very exciting." Despite a solid 92 years in the making, it’s clear DeLuxe has plenty of chapters left in its story. Over the coming years, we look forward to seeing them continue to grow, evolve, and expand. The team will be at this year’s Covi show in Auckland from 16 to 18 March where they look forward to catching up with existing clients and to welcome new customers into the DeLuxe family and into their ongoing story of success.